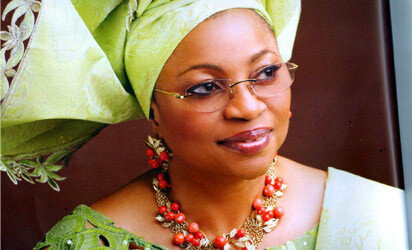 Fashion designer turned oil tycoon, Chief (Mrs) Folorunsho Alakija, is now officially the richest black woman in the world with an estimated net worth of $7.3 billion. To sit atop that envious position, Alakija, 62, had to displace media mogul, Oprah Winfrey, who has an estimated fortune of $2.9 billion, according to Forbes. Currently, Africa boasts 55 billionaires and they’re worth a staggering $143.88 billion in total, according to pan-African magazine, Ventures Africa. Mother of four, Alakija, started her career as a secretary in a bank in the mid-1970s, then ventured into Fashion designing before she finally tried her hands on the booming oil business – where she had her biggest break. In 1993, her company, Famfa Oil, was awarded an oil prospecting license, which later became OML 127, one of Nigeria’s most lucrative oil blocks. According to Ventures Africa reports, Mrs. Alakija’s company owns a 60 per cent stake in the block, valued at around $7.3 billion.